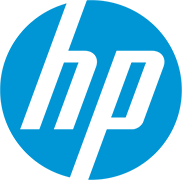 Hewlett-Packard is an American information technology brand established by Bill Hewlett and David Packard in 1939. One out of three servers worldwide comes from HP. It serves more than 1 billion customers in more than 170 countries worldwide. It is currently headquartered in Palo Alto, California. HP ranked in the top list of GreenPeace for policies on sustainability, energy and climate and green products and was awarded as the World’s Most Ethical Companies by Ethisphere Institute. The Spectre X360 and the HP Stream, Microsoft’s version of the Chromebook are its latest models of laptops. Why pawn your preloved Hewlett-Packard with PawnHero?